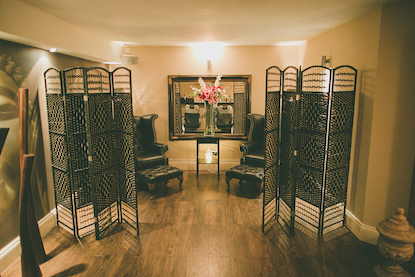 We are an award winning Hair Salon and specialist in luxury personal treatment based in idyllic Oxshott, Surrey. Our aim is to connect you with the perfect hairdresser for your needs and give you the beautiful hair you desire. A lovely place to have your hair cut! Happy, attentive staff. Wonderful head massages and beautiful color and cuts from Georgia. ? I've never had so many compliments for a hairstyle! Over the past few years I have used this salon to have my hair, styled, coloured and had Keritin treatments and my hair has never looked better. The stylists and all staff are welcoming and you are spoilt and pampered from the moment you arrive. I love going to Clay to have my hair done. All the staff are so welcoming and make you feel special! Friendly staff who make you feel welcome and at ease, modern,clean environment, professional haircuts with hairdressers that listen to how you want your hair cut. Highly recommended. A wonderful experience, as always. The salon is very welcoming and feels very special. My hair wash was fabulous, the head massage was very welcome. Vicky always cuts my hair beautifully and I always feel like I am being looked after. She gives great hair care advice and styles/colour too. She is very talented and I feel in safe hands. I trust her implicitly and am happy to be guided on what she thinks best for me. There's a nice team feel at Clay. Always feel welcome and somewhere I can trust! It was a really pleasurable experience as always. I spent a saturday afternoon being pampered and also a very lovely colour and cut as always. Super nice salon. Amazing hair dresser, fantastic wash and massage and great blow dry! What more do you need? As ever the team at Clay come up trumps! Great experience from start to finish. I had a cut and finish today, Jack was the stylist. From beginning to end, it was a really great experience. I felt listened to and he made some really good suggestions. The shampoo was really relaxing and the whole experience felt very unhurried and relaxing. I'm really pleased with the end result and I will certainly be heading back there soon for colour and another cut. Peter was a lovely, chatty stylist, cut my hair beautifully, will definitely use again.